If you need a dependable, standard efficiency furnace in a fairly mild climate, the Goodman Multi-Position, Dual$aver — GMH8/GDH8 Gas Furnace Price is one to consider. Nancy in High Point, North Carolina did and seems pleased with her purchase. Here’s the note she posted by filling out the simple form on our Share an HVAC Price page. We’re always glad to pass on to you information on HVAC prices that will assist you in finding the right equipment for your needs. DualSaver two-stage heating that runs on low 80% of the time during normal operation. Reduces temperature swings. Standard efficiency 80% AFUE which will conserve energy over many older furnace models. Circulator motor has 4 speeds for low-noise, high-efficiency performance. Low constant fan mode insures quietest, most efficient operation. Durable silicon nitride starter replaces pilot light. Rugged steel cabinet with baked enamel paint. 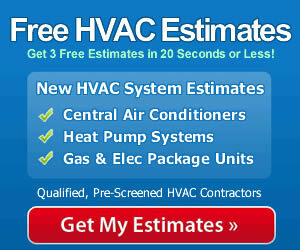 Sizes to fit any application, from 45,000 Btu to 140,000 Btu. Industry’s best warranty: Limited lifetime on the TuffTube heat exchanger, 10-year furnace replacement if the heat exchanger fails in first decade, 10-year limited warranty on all functional parts. Thank you Nancy! When you are considering an important investment like a new gas furnace, it is vital to get bids from several dealers and then choose the qualified contractor you feel the best about. It’s never a bad idea to check references, the BBB, and other sources. Let the contractor handle the entire job, since that’s the only way to have your warranty honored. It also ensures that your furnace is installed properly so that there are no safety problems and it runs at peak efficiency and performance with the best longevity.